DISNEY PICTOPIA BOARD GAME Disney Pictopia board game is a super glitzy Disney themed family board game featuring images of and questions on much loved Disney characters. 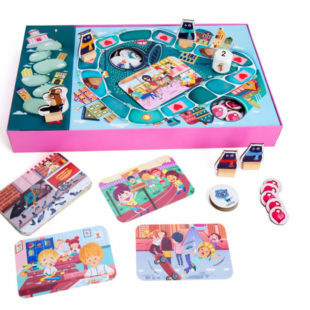 The game takes a little time to get into, and there’s quite a lot of ‘stuff’ in the game, which is eventually a good thing once players get ..
Disney Pictopia board game is a super glitzy Disney themed family board game featuring images of and questions on much loved Disney characters. The game takes a little time to get into, and there’s quite a lot of ‘stuff’ in the game, which is eventually a good thing once players get past the initial learning curve. The basic premise of the game is to wager on the right answer to a Disney themed image driven trivia question. One of the things we like most about the wagering element is that it keeps it multiple choice – so when there are only four answers to choose from, everyone has a chance of getting it right, even if they’re guessing! Sometimes trivia games get so specialist/expert that it spoils the gameplay…that doesn’t happen with Disney Pictopia, everyone has a chance! Players race along the board to get the castle first to be declared the winner. The movies featured include: The Little Mermaid, The Fox & Hound, Brave, Ratatouille, Snow White and The Seven Dwarves, Enchanted, Lady & The Tramp, Cindarella, The Aristocats, Dumbo, Finding Nemo, Pinocchio, The Princess & The Frog, Cars, Wall-E, Aladdin, Beauty and The Beast & many more! WHO’S IT FOR: To play Disney Pictopia board game properly, all players need to be able to read words out (quickly enough to avoid annoying other players by being too slow!). In most instances this will be around the age of 7 or 8 years of age. Younger players could play if playing together with a parent to get round the reading requirement! 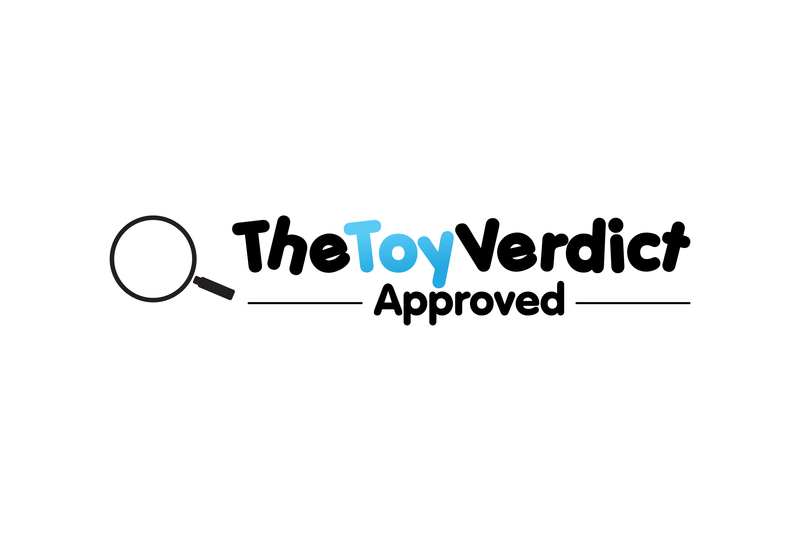 THE TOY VERDICT: Disney Pictopia board game is a good family game based on the glitzy world of Disney. Fans of the films will really enjoy testing their knowledge via multiple choice and glossy attractive images. While the set up/game play understanding curve is a little complex versus more basic games, it’s worth it!